Since music is something I enjoy a lot (even moreso after rediscovering it thanks to a certain series), I thought I'd post my current setup which will serve as a reference for some later posts. 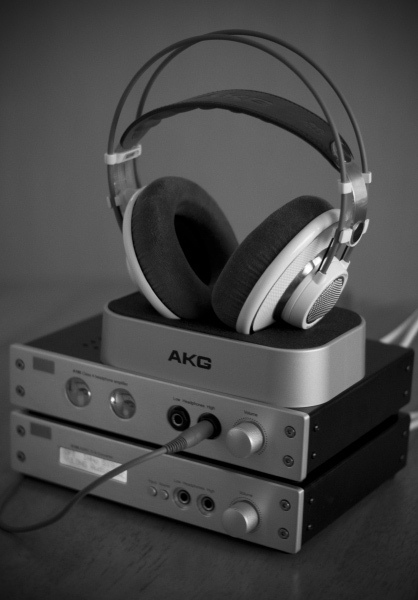 There is quite a bit of interest in the K701 headphones in particular, and I also think an amp/DAC is something everyone should have if they appreciate music and quality. DACs in general are way better than soundcards, but I'll save that for another, DAC specific post. The K701 are my default headphones. They were expensive at £200 (currently the equivalent of $330) but perform very well. They are often compared to more expensive models which makes me feel like they are good value. That said, you can't simply buy these headphones and expect everything to sound amazing. Just like you need a good amp to drive powerful, expensive speakers, you need a good headphone amp to drive powerful, expensive headphones. After all, it's the same concept just on a smaller scale. Think about the Sennheiser HD800. At £1000, would you expect a laptop soundcard to drive those to the same potential as some £10 headphones? No. Source quality must improve with output quality. Initially I was a little dissapointed. 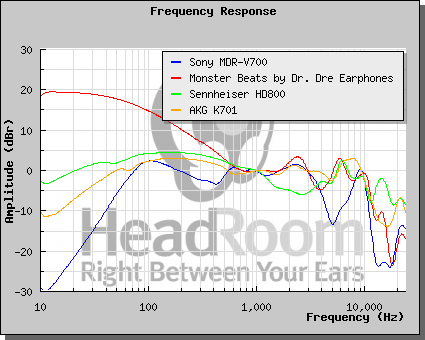 I felt that the highs were a little less pronounced than my Sony MDR-V700, and that they also lacked bass (it should be noted that I didn't have an amp or a DAC at that time). It may have been that my source wasn't very good (pretty awful laptop audio...), but it might also have been that the K701 require quite a long burn in time. Some people dispute burn in and some swear by it. My opinion is that anything mechanical can improve or degrade with time/wear. We are all familiar with the concept that things wear with age such as car clutches, brakes and hard disk drives, but with speakers and headphones it is believed that sound quality improves with wear up to a point. The theory is that the material the driver is made from becomes worn and more flexible with use and can operate more freely. Of course I don't believe in burn in for things like solid state amplifiers or processors. Now I feel that there is no comparison between my K701 and V700. The K701 simply has better soundstage, bass and treble. Is that a result of burn in? Or is it the case that with a much better source it's easier to tell the difference between the headphones? Could be a bit of both I expect. The K701 are impressive but discreet. At no point have I put these on and thought, "WOW". Well that's not exactly true because I'm somewhat impressed everytime I put them on, but what I mean is that the sound doesn't jump out at you. These headphones are designed to be neutral and accurate, so with a good source, music should sound somewhat like it was intended to (since studios invest crazy amounts of money in high quality, neutral output). The thing is not everyone appreciates the neutrality as we have become so used to hearing music with bass boost, equalizers and subwoofers. The thing is these exist only because of shortfalls in driver ability/design. If you have an accurate, high quality driver, why would you need to boost the bass or treble? In fact boosting bass is one of the easiest ways to sell headphones, since it's the easiest thing for a listener to pick up on. Why waste time developing and tuning drivers that can accurately represent frequencies over 16kHz if few people can hear it? 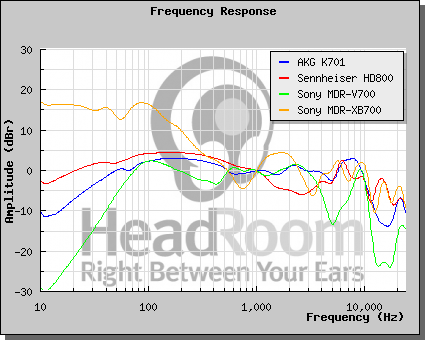 Unfortunately your average person doesn't appreciate the neutrality of these headphones, and compared to "consumer" headphones like Beats by Dre which boost low frequencies, the K701 will naturally sound flat in comparison (since you automatically feel that more is better). The only drawback to the K701 is the fact that to get the most out of them you need a decent source and an amp. That's not to say they are so power hungry that you can't use them in normal headphone sockets as is the common misconception. You can, just the maximum volume is not as high as I'd have liked it to be, and you are more likely to get bass rolloff with stock soundcard/portable player amps than a dedicated headphone amp. They also leak a lot of noise. The noise coming out of the back of them is loud enough for my sister to identify what I'm listenting too... In another room. The noise leakage is owing to their open back design. Open back makes them a lot more comfortable for long use as you don't find your ears getting hot and sweaty (plus the cloth earpads as opposed to leather help with this too). The sound is a lot more natural and doesn't have the usual "closed in" feeling that headphones usually have, but one of the other downsides to open back is that bass doesn't quite have the same level of impact. It's strange, drums sound amazingly real and can rattle your eardrums, but you seem to lack the ear ticking sensation of air being forced down that you get from closed back designs. If bass is really that much of a big deal for you though, there are plenty of headphones designed for that purpose (such as the Sony XB700). One sensation that I haven't quite got used to yet is that some music sounds dull. By that I mean the high frequencies appear to lack treble, and it makes me tempted to fiddle with the EQ, which is something I have left on flat ever since buying the K701. 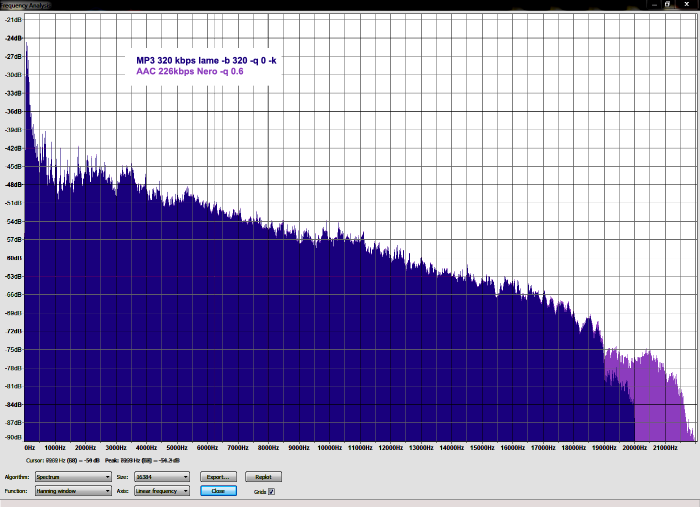 If you are going to EQ, then there's no point buying neutral headphones in my opinion. This dull sounding treble is certainly not a shortfall with the headphones (although it feels like it at the time). Switching to a better mastered track reveals just what they are capable of, so bear that in mind. You get out what you put in, and you can really notice the difference in recording quality and mastering between artists and tracks. Finding an amp and DAC to suit me was the hardest part. Initially I intended to buy a combined amp/DAC for £200, which after some thought I decided to split it and budget £100 for a DAC and £200 for an amp. I couldn't find anything that appealed to me, but I happened to come across the Yulong D100 at head-fi.org and a very nice review by project86. I wanted to avoid buying an all in one unit, because I'd rather have had a dedicated DAC and a dedicated amp, but it turns out the Yulong D100 had an excellent DAC and a very good amp, and was within what I wanted to spend at £320. The Yulong D100 is a very nice unit. The DAC section is very highly praised and the amp is surprisingly good (uses the same OPA2134 opamp as the Matrix M-Stage, which is a clone of the £600 Lehman Black Cube Linear). Unfortunately it has no analog inputs, so you can't plug an RCA source into it and use its headphone amp. It's strictly for digital input (Coax, USB, Optical, AES) but has balanced outputs and standard RCA out so you can use it as part of a seperate system (eg connect a DVD player to the DAC via optical and the DAC to your amp). The D100 has 2 headphone out sockets. They are intended for different impendances, and I find the high impendance output is best for the K701. I feel that some of the dynamics are lost when using the low impendance output, but I don't think this is going to be a problem for low impendance headphones (32 ohm or lower). There are also 2 sound modes. The first is flat, unaltered sound and the second mode reduces frequencies 16kHz and above by -3db. The effect is actually not that easy to notice, but it was intended to be used with headphones that are heavy on treble. I never felt the need to use the second sound mode. Overall it's a great DAC and amp combo and I'm happy to suggest it. Like with most things though, there's an element of diminishing returns. By that I mean you could probably pick up the excellent Mavrick D1. At $200 it's less than half the price, but I don't think the difference in sound quality will be that much between them. The Yulong D100 is excellent quality, but value or bang for buck wise, you can probably do better. I had always had it in my mind that I wanted a seperate amp to go with my DAC to make the best of what I've got (since although the amp in the D100 DAC is great, it didn't do the DAC section justice). One amp that kept popping up was the Matrix M-Stage, which is a component for component clone of the Lehmann Black Cube Linear and cost 1/3 of the price (Chinese, how do they work?). I lurked around on the head-fi.org forums for a bit trying to gather information to make an educated decision which was when I learned that Yulong were making a dedicated headphone amp to match their DAC. This amp is quite impressive. At first I found it hard to tell the difference (from listening to the D100 one day and the A100 another) but if you match the volume levels and switch between them while playing something, the D100 sounds somewhat flat in comparison (which is impressive because the D100 never sounded flat to begin with). The A100 feels like it has more detail, and is more lifelike. Drums really do sound like drums, cymbals are more apparent and aren't hidden in the mix of everything going on, but I do find the improvement varies depending on the source and type of music. Great sources benefit more than average ones rather than it seeming like an improvement across the board. I attribute this to the amp and DAC combination just being detailed and neutral rather than the A100 adding anything or boosting any frequencies over the D100's own amp. The A100 amp cost me £240. It's a nice unit and it matches the D100 DAC (with some slight design differences, looks like the volume pot and circuit board is higher up in this one). The RCA jacks are notably better quality than on the D100, but unfortunately it does not have balanced input which is weird considering the D100 DAC had balanced output. The one downside to this amp is that it only has one pair of RCA in and no other inputs. I suspect this was a decision made to keep costs down, because internally they use the highest spec opamps currently available, the OPA627B. If you enter that in google shopping, you will see that amps using those opamps usually cost thousands of pounds. The headphone jacks are also higher quality and the fit is quite snug. At first I was worried that it would scratch the gold plating off of the K701 jack, but they seem to have become less tight over time. It's a class A amp and it does generate more heat than the D100, so Yulong drilled some holes in the top to allow it to cool.